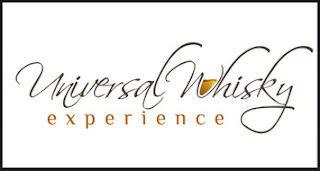 Haven’t had enough of whisky festival season yet? 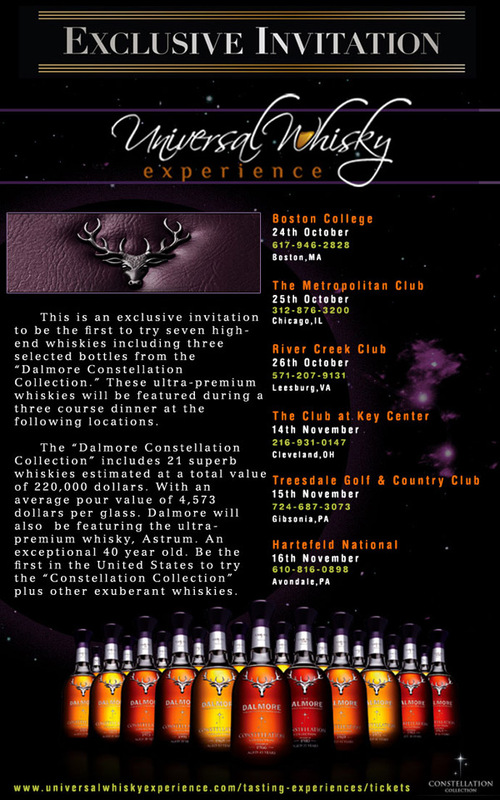 The good folks at the Universal Whisky Experience have been running some top-notch dinners featuring the Dalmore Constellation Collection, which features 21 different whiskies valued at $220,000. Good Lord. Typing that hurt me a little. Wow that’s a lot of money. Included in that bunch is the Astrum, a 40 year-old Dalmore finished in Matusalem Rum casks. Stephen had the chance to try the Astrum at the Nth 2012 Ultimate Whisky Experience in Las Vegas–or at least he’s pretty sure he did. He can’t say now for sure. He kept saying something about “So many amazing 40 year-old whiskies at that event, I can’t keep them straight in my memory” and “Did I have the Astrum or the Aurora, the 45 year-old Dalmore? I can’t–“, with that last bit being what he said just before John and Bill beat the crap out of him out of sheer jealousy and spite. At any rate, the UWE folks have run a number of these dinners already in October, but there are 3 left: in Cleveland, OH, Gibsonia, PA, and Avondale, PA. Fortunately, the election will be over by then, so the campaigns will have cleared out, thus rendering parking possible again.